Though the conventional corporate structure in most companies and corporate establishments is rooted in the use of in-house personnel for the delivery of services and the execution of corporate functions, a trend that entails the application of outsourced expertise to complete tasks and projects has changed the landscape of the corporate field drastically. A pertinent question that must be asked, however, when one reflects on the noticeable change in dynamics witnessed in the corporate world is if the use of freelancers and outsourced personnel is the future of the corporate field. AI enthusiasts will laugh and say that a future where artificial intelligence doesn’t play a crucial role in corporate practices isn’t a possible reality; that, however, is a topic for another day. The conventional mode of operation in most business organizations involves the delegation of responsibilities to the various departments within the establishments in accordance with their expertise. This operation model is responsible for the traditional structure that is apparent in major companies and corporations, which sees the passage of instructions and the delegation of duties by the top executives e.g., CEO, GM, MD etc., to the departmental heads of the company (Accounting, HR, IT etc.,) who in turn assign particular duties to the personnel within their units. This basic template for corporate operations remains in use even till this very moment through the unprecedented transformation in the IT sphere has led to the use of more efficient methods to increase productivity. Aside from technological advancement that has brought about increased efficiency in the performance of various corporate tasks, freelancing and outsourcing have likewise contributed to the swift execution of corporate functions. With the internet awash with numerous tools that make working remotely feasible, it has become standard practice for companies and businesses to outsource specific corporate duties and task to remote experts who are referred to as freelancers. Why is Outsourcing an Attractive Option for Corporations? While using in-house personnel for certain duties has its perks, which include closer observation of the working process, its toll on company’s finances makes it an unsustainable option especially when one considers the fact that a more cost-effective alternative, outsourcing, is available to be fully explored. It is clear and simple, really; since the major objective of a company or business is to deliver the best service using a cost-effective means that help boost financial returns and revenues, the operation model adopted by such a company must deliver both in the areas of client satisfaction and resource management. It is well established that outsourcing critical corporate duties to expert freelancers can cut the cost of running an establishment by a whopping 30%. These are the funds that would have been used to maintain the weekly wages of in-house personnel as well as miscellaneous expenses like staff bonuses and health insurance. By outsourcing these duties to competent experts, however, a company ensures that these unnecessary drains on corporate finances are plugged, and this helps increase its ROI by a significant margin. The apparent impact outsourcing has on a corporate establishment is the dissipation of jobs that become irrelevant due to the cheaper outsourcing alternative. Many companies and businesses that have taken the enterprising step of delegating certain corporate duties to freelance experts have ended up using this solution on a permanent basis while also relieving the assigned in-house personnel off their duties. The number of job cuts that can be attributed to outsourcing is substantial with a few corporate departments even being shut after losing their relevance in some corporations. It is not uncommon, for example, for a big corporation to outsource its IT requirements to a technology firm or expert or utilize the services of a freelance digital marketing expert to carry out outreach campaigns. 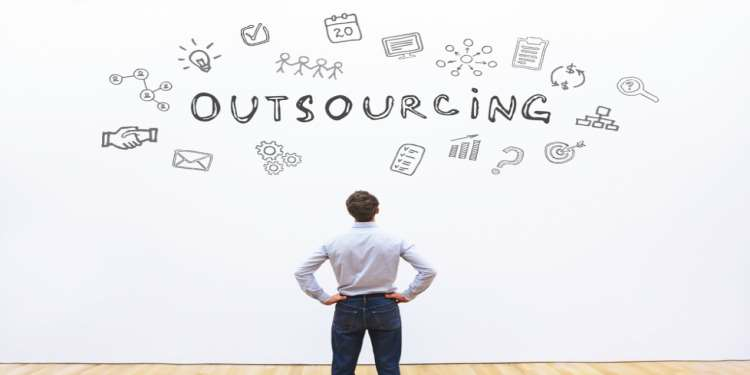 The proliferation of freelance experts who can perform numerous tasks can also be seen as the engine that moves the vehicle of outsourcing forward to a glorious destination. These freelance experts are able to make use of online platforms like Vulpith to make contact with prospective clients and execute critical corporate tasks that are usually done within a company’s premises. Current trends in the freelance terrain suggest that the outsourcing of corporate tasks is definitely a solution that is here to stay regardless of the gloomy pictures naysayers continue to paint. While it does seem like the freelance market is in a bubble with the number of experts and freelance professional quite more than the available jobs, the more likely resolution to this scenario is an unprecedented bump in the number of firms engaging the expertise of freelancers. The assertion that outsourcing and freelancing will play lesser roles in the future of corporate operations can’t be any further from the truth as most innovative developments in internet technology are geared towards ensuring that the processes involved in outsourcing are more linear and decisive. One thing that is certain about the future, however, is that the structure of corporate establishment will continue to get leaner as more innovative methods of executing tasks and duties are created or fashioned. This inevitable loss of manpower is more likely to be compensated for by either technological input or a more efficient outsourcing mechanism. A lot of freelance experts are apprehensive about what the future holds for them due to fears that the freelance market may reach an unsustainable peak. While no concrete data presently suggests that outsourcing is even close to being on a downward trajectory, it is easy to understand why these remote service providers can struggle with pessimism. Yes, the number of individuals registered on a variety of freelance platforms is on a year to year increase, which may lead to the saturation of the freelance market; it is important to note, however, that many of these individuals that claim to be expert really do not have the skills and experience needed to successfully complete a variety of tasks. So regardless of whatever future lies in store for corporate operations, one thing is certain, outsourcing to freelance experts will remain a major part of it.